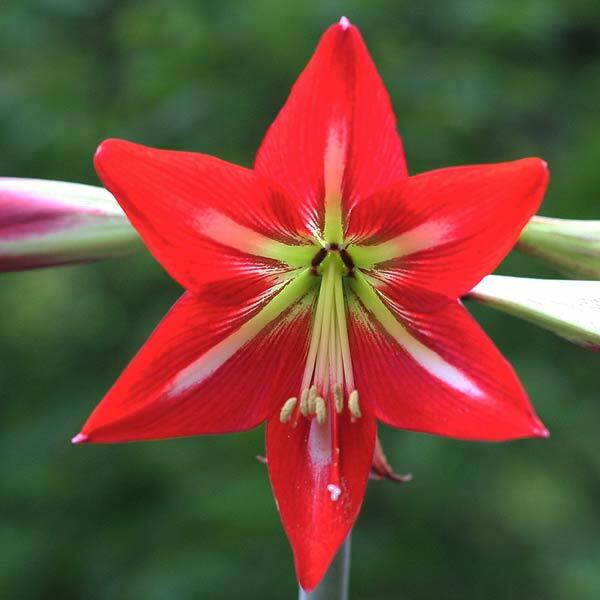 With large and colourful flowers, Hippeastrum plants are available for sale are originally from South America. The flowers of the hybrids are some of the boldest of any bulb. The species themselves also offer a unique opportunity to add something a little different to the garden. The varieties that we see for sale are usually hybrids, and are commonly sold to be grown in pots or containers on balconies and patios, however they can also make a great garden plant in the right conditions. The can also make great indoor plants in the right conditions. The large flowers of the Hybrid hippeastrum (up to 25cm) come in a range of colors from bold reds through to soft pastel yellows generally appear in spring. You can buy species these from specialist nurseries and growers, however it is generally the large flowering hybrid cultivars are the most popular. With over 70 species identified, only a few are readily available for sale. H. cybister are sought after however fairly rare.. If you are considering buying species look for H. papilio as mentioned as well as H. reticulatum an interesting species. while H. Yungasensis, H. aglaiae and H. stylosum are others worth looking for. Bulbs and seeds are available for sale as cultivars or species and are a relatively easy bulb to grow that will cope with full sun or part shade and can be grown indoors in a well lit position. Hippeastrum bulbs prefer a well drained and well mulched soil. Bulbs need to be planted with the neck of the bulb above the soil. They are not really fussy bulb and often seem to thrive on neglect. Drainage is however important and hippies tend to like to be a little ‘crowded’ so do not over pot. Indirect sunlight or shade is best, bulbs being great for growing in pots indoors. Water well during the growing period. Watch out for pest such as snails and slugs. Hippeastrum bulbs seem to like a little stress to improve flowering, try keeping them outside in the cold during winter, preferably in a dry position. How to grow Hippeastrums in containers. Planting Hippeastrum Bulbs in containers. Ongoing Care of Hippeastrums in containers. Do not let the pot sit in a saucer of water. Place the pot in full sun for most hybrids. NB. Hippeastum Papilio is treated differently. Water with a liquid seaweed fertiliser once a week. Allow to the soil to dry a little between waterings. After flowering remove the spent flower heads. Decrease watering in winter allowing the soil to dry a little and encouraging the plant to go into a dry dormancy. – Shift pots uncover if needed in areas with very wet winters. Recommence fertilising as soon as the flowers begin to emerge from the bulb. This will be a shoot from the side of the bulb rather than the centre. Generally these are a fairly easy to care for bulb, snails and mealybugs are the two main problems but these can be easily fixed with solutions from most good nurseries. 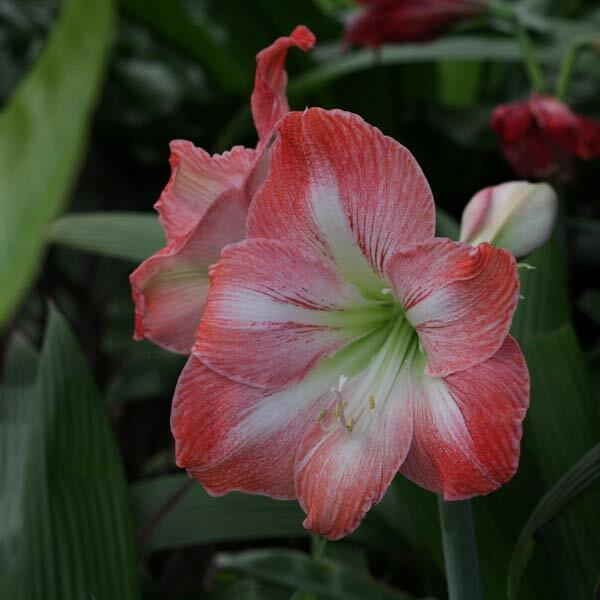 Hippeastrum plants, bulbs are available from sale from growers.